Timely, thorough customer feedback is critical to meeting citizens’ rising expectations for convenient and personalized government services. However, the Paperwork Reduction Act presents a major barrier. 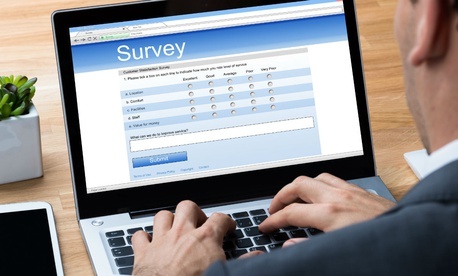 For example, it took the Office of the Inspector General at the Defense Department more than a year to get approval for a simple five-question survey asking for users’ opinions about its website. Congress is moving to ease restrictions that limit agencies’ ability to seek feedback from the public. But even now, agencies can get some input without running afoul of the PRA. The PRA requires federal employees to navigate a complex clearance process before gathering input from nine or more people. It includes publishing the request in the Federal Register and providing a public comment period before the Office of Management and Budget can give a thumbs up. The act, signed in 1980, has the laudable goal of reducing the number of lengthy and confusing paper forms government asks citizens to complete. But nearly 40 years later, its requirements are out of touch in a world in which citizens expect to respond to information requests quickly and easily using whatever device and communication channel they prefer. The act also fails to distinguish between information citizens are required to provide, and input they provide voluntarily. Many time-strapped federal employees, faced with a six- to nine-month approval process, decide not to collect citizen feedback at all, or use previously approved surveys that don’t provide an up-to-date, actionable picture of citizens’ experiences and viewpoints. The Partnership for Public Service conducted a survey of federal employees familiar with the act, and of the 61 responses received, 73 percent said it prevents their agencies from collecting timely feedback. And although a major purpose of the act is to improve information quality, only eight survey respondents believe the PRA process is effective in improving the quality of government’s customer surveys. Instead of preventing citizens from being overly burdened by government paperwork, as the PRA intended, the act is having the opposite effect. Citizens struggle when they have to complete confusing forms or navigate poorly designed websites that were designed around an agency’s organizational structure and never tested with users. Congress has taken note. In November 2017, the Senate passed the Federal Agency Customer Experience Act, introduced by Senators Claire McCaskill, D-Mo., and James Lankford, R-Okla., which would loosen the restrictions for voluntary customer feedback. It is now making its way through the House. Until the law changes, federal employees need to be savvy about how they get feedback. Some leading practices for obtaining customer feedback and conducting qualitative research do not require PRA approval. For example, OMB issued a memo in July 2016 clarifying that information collected by observing people as they use digital services and discussing their experience may not be subject to the PRA. Under this method, agencies can directly observe and talk with customers interacting with websites, applications and services, and learn firsthand about pain points, needed improvements and capabilities users would like. Agencies can conduct usability testing by watching how users navigate, asking them to take a specific action or perform a work process, and asking questions. This can help employees understand users’ intent and identify issues with how they navigate the site, discover content and other key factors that contribute to customer experience. One helpful technique is to have users “think out loud” as they work on a system or task. If questions are customized to the individual and the situation, the PRA does not apply, and 10 or more users can be interviewed. OMB also grants generic clearances for broad plans to collect information. If an agency has such a clearance, staff may be able to include a new customer survey under that approval. Some surveys are eligible for a “fast track” approval process, under which OMB has committed to reviewing them within five days. Using another organization’s clearance is also an option. For example, agencies have been able to conduct surveys related to health care using a clearance obtained by the National Institutes of Health. Getting input from citizens is vital for meeting the needs of today’s customers and accomplishing mission objectives. Feedback can help agency leaders deliver convenient, seamless and intuitive services, streamline processes and reduce costs. And if the pending customer experience legislation becomes law, the effort involved in getting that feedback could be markedly reduced. Eric Keller is a senior manager at the nonprofit, nonpartisan Partnership for Public Service.